Murchison Falls National Park, located at the northern end of the Albertine Rift Valley, is bisected by the Victoria Nile, a turbulent stretch of whitewater that plunges 140 feet over a sheer wall at the falls. The calm stretch of river below offers superb wildlife viewing, with elephant, giraffe, buffalo, hippo and Nile crocodile frequently in view. Launch trips to the base of the falls and Lake Albert delta offer fine bird watching, with a chance to see shoebills. Edging the shores of Lake Albert and bisected by the Victoria Nile for 71 miles, Murchison Falls National Park is an impressive 1,480 square miles of wilderness. When neighboring Karuma and Bungungu wildlife reserves are added, the entire 2,049-square-mile Murchison Falls Conservation Area is formed. The falls are a famous highlight of Uganda, created where the Victoria Nile plunges with incredible force over a craggy, 23-foot-wide gorge, dropping 140 feet to flow out toward Lake Albert. 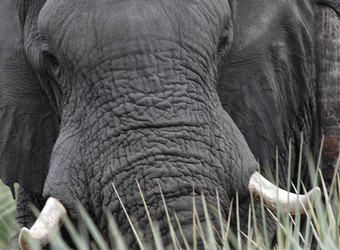 Wildlife drives offer some of Africa's favorite wildlife, including giraffe and lions. Birding is absorbing, with more than 450 species in the park. Fishing is excellent, and a boat journey to the base of the falls is a must, with elephant, hippo, antelope and crocodile in view along the river as you cruise. Visitors may also enjoy cultural encounters on walks to a local village. Murchison Falls National Park is host to a wealth of wildlife, from lion, leopard, elephant and buffalo—four of the famed "Big Five"—plus hippo, rare sitatunga, giraffe, oribi, Ugandan kob, crocodiles in the river, and much more. Mammals are typically in view by vehicle and while on the river. With more than 450 bird species, including the rare shoebill stork and many other water birds, Murchison Falls is a birder's paradise. There is also a white rhino sanctuary just south of the park border, established with the hope of reintroducing the species slowly into the park itself. 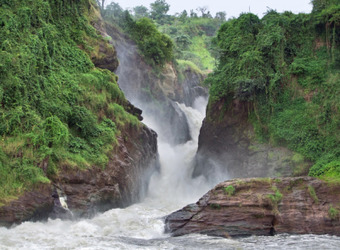 Murchison Falls is traditionally a first stop in Uganda, coming from Kampala. Moving farther along Uganda's western edge, a stop at Kibale Forest National Park—home to a chimpanzee population about 500 strong—offers a great complement to the mammals and terrain of Murchison Falls. After a few days on foot tracking these captivating primates, continue to Queen Elizabeth National Park for more traditional safari elements. 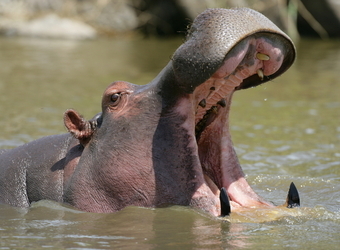 The park offers wildlife drives and boating excursions to view dense pods of hippo, elephant, leopard, and possibly the famous tree-climbing lions of the Ishasha region of the park. Bwindi Impenetrable Forest's mountain gorillas round out any trip to Uganda on a high note. 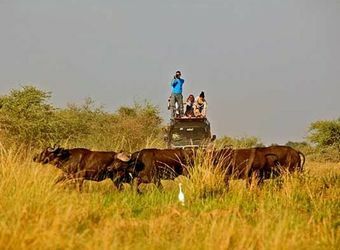 Such an all-encompassing Uganda safari itinerary offers an unparalleled diversity of wildlife and ecosystems. "Murchison Falls was wonderful in that it was remote and very few visitors came around as we watched wildlife. The only reason i gave it a 4 was the accommdoations were a little tough in that our choices were a large lodge which we don't love and a pretty beat up old camp on the Victoria Nile. Still, Murchisonw as a fantastic experience overall!" When did you visit Murchison Falls Nat'l Park?